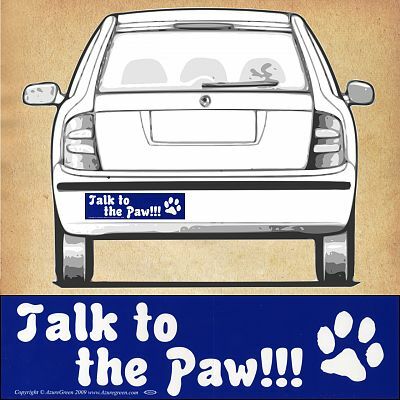 Do you have any other questions about our "Talk to the Paw!!!" Bumper Sticker? Cute, put on my car right away.